Read Michael Gainey's convention report containing his unique perspective by clicking on the photo above. Ever wonder what happens at a clock and watchmaker's convention? We have provided this link in case you might be interested. The photos in the link were taken by Michael, photography being another one of Mike's many hobbies. 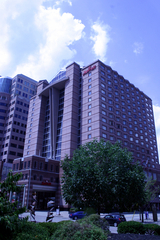 When you follow the link you will be taken to an entire web site devoted to the 2010 AWCI Convention. On this site you can peruse the many photos of the various happenings that took place as well as read Mike's blog about the convention. 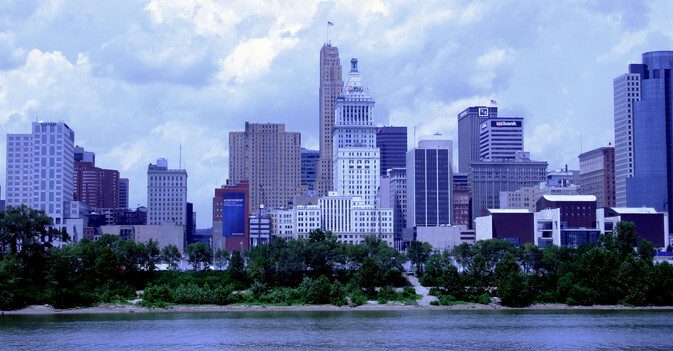 The 2010 convention took place in Covington, Kentucky across the Ohio River from Cincinnati. Be recognized for their efforts to advance the trade and or the organization. Missing out on all the fun and education? Interested in joining AWCI? Go to awci.com for more information. View of Cincinnati skyline from convention hotel. 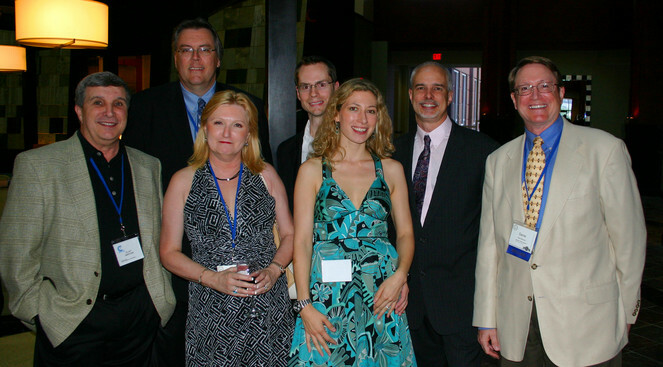 Various Convention Attendees including Michael Gainey second from right.